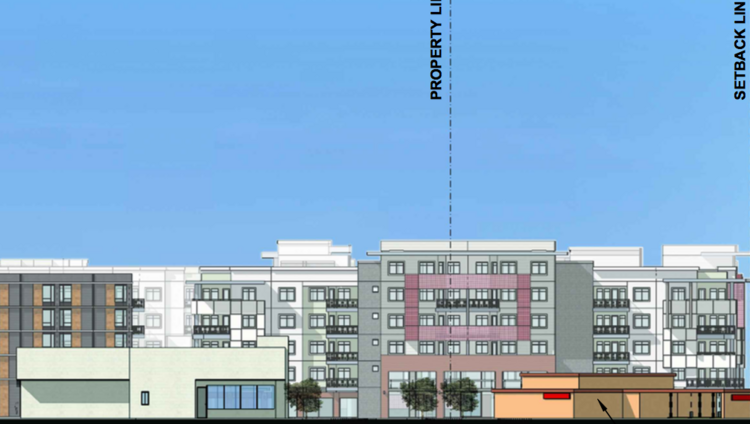 A preliminary elevation diagram shows the proposed development at Papago Plaza from the Scottsdale Road frontage. A hotel, grocery store and residential development are all in the mix to replace the vacant Papago Plaza on McDowell and Scottsdale roads. 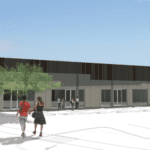 Preliminary plans include a 116-room hotel and 247-unit apartment complex. 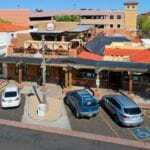 Restaurant and retail pads will front Scottsdale Road. 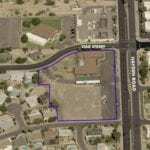 The existing Wells Fargo bank on the corner of Scottsdale and McDowell is not part of the development. 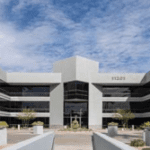 The development lies just to the west of the Arizona State University SkySong development, which has boomed during the past few years with multiple companies bring offices to that project. 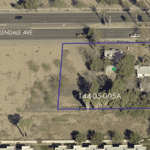 Pivot Development LLC purchased the Papago property three years ago for $12.5 million, but the property has been essentially dormant since then. Preliminary plans do not identify a brand for the hotel on the property. 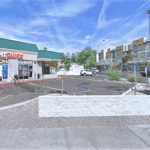 Morris said the area in south Scottsdale does not have the same amenities other neighborhoods do, and the center’s redevelopment will bring crucial additions, like the grocery store. “We are creating an amenity package for south Scottsdale,” he said. 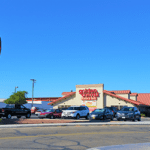 Morris and others involved in the development canvassed the neighborhood to ask what restaurants and stores residents would like to see in the area and were very pleased with the reaction. So far, Scottsdale has given review comments on submitted plans. The next step will be for the city’s planning commission to hear the case and put it to a vote. Morris said the commission hearing has yet to be scheduled. 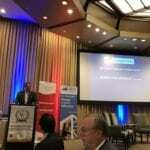 The group is aiming for the entitlements process to finish by the end of the year and begin construction in 2019. 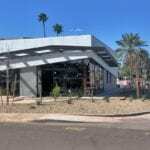 Papago Brewing, which was located in the strip, announced in November it would be closing its doors to make way for the eventual demolition of the property for redevelopment.